Despite Prince Harry’s popularity and highly publicized life, there’s a side of him that not many has seen. A royal correspondent revealed his experience working with the royal family, especially Prince Harry, and talked about what he is really like. Duncan Larcombe was The Sun’s former royal editor. He started in 2004 and has mostly covered Harry out of all the members of the royal family. 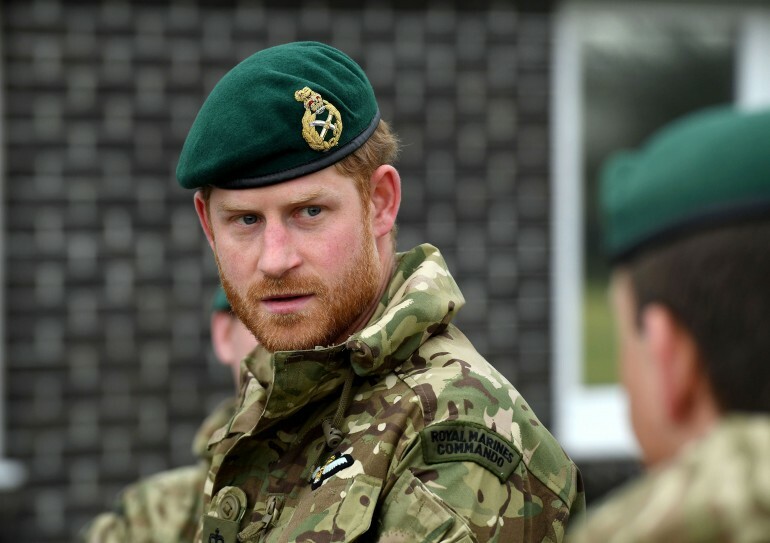 Larcombe has since written a biography called “Prince Harry: The Inside Story.” He wrote about Harry’s days in Eton, his time in the military and his love life. He also got to write about the biggest misconceptions about the prince. Perhaps the biggest thing is that he was a known party-loving prince, so he was assumed to be “flash and confident.” However, he’s actually quite the opposite. According to Larcombe, the duke was actually very insecure. Royal fans have developed an image of him like those billionaire party animals who buys everybody drinks, but that is far from the truth. “I think the public imagine him turning up in a Las Vegas hotel and saying ‘the drinks are on me’ but, like all the Royals, he’s actually very frugal,” Larcombe clarified. “He doesn’t drive around in Aston Martins; he doesn’t have an incredibly extravagant lifestyle,” he continued. The royal correspondent also revealed that Harry cares a lot about what the public thinks of him. He was surprised at how much he reads articles written about him. “It’s a sign that probably deep down he is worried about what people think of him,” Larcombe shared. Prince Harry appears to have resigned to a life of very little privacy and constant scrutiny. He was a subject of conversation even before he was born, and he knew that people will still be talking about him long after he's gone. For this reason, he's learned to accept that the press will always be there, even though he doesn't like it. He sometimes didn't take well when people go out of line, though. “In between is just the reality of his life,” Larcombe said. “Some of the times he’s [got] really annoyed is when journalists haven’t played fair,” he added. The royal family biographer also revealed that if there’s one thing that Harry is, it’s that he is “frighteningly honest,” which may surprise royal followers. The one time he met with Larcombe in Lesotho, he played football with him and other members of the press. Harry came over to say hello after they played, he and got to hang out with him for hours on a hillside. “You just thought: ‘Actually, this guy’s quite a nice lad.’ You would never have a chat like that with the Queen or Prince Charles. It was very surreal,” Larcombe said. Like Harry’s mother, Princess Diana, he’s really good with kids. Larcombe recalled watching him talk to a child and easily connect with one. He is transported into another world when he interacts with kids, and he often gives his full attention to them. “He plays with them and makes them laugh and half the time they don’t have a clue who he is and he likes that,” Larcombe added. Overall, the biographer confirmed that Prince Harry is indeed a guy who most people would like to grab a drink with. “He’s a kind of rock star royal and his popularity is based, among some generations, on those who adored his mother,” he said. What he can say for sure is that Harry has changed a lot and is no longer the guy who royal fans saw when he was 18, where he was deemed a “liability” who was out of control and reluctant. However, even though he is in his early '30s and is a father-to-be, Larcombe said that his partying days are not over just yet. But commpared to his younger days, he has grown up a lot, thanks to his time with the military and his growing passion for charity work. What Does Queen Elizabeth II Think About Royal Protocols?